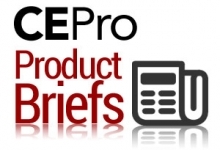 CE Pro’s annual list of the highest revenue custom installation companies reports a huge jump in the volume of installations with entry-level home automation and new construction leading the way. If you squint while looking at this year’s CE Pro 100, you might think: 1) You are looking at a list of security companies or 2) you have been transported back to before the housing bubble burst. The reason for this misperception is the incredible volume of installations performed in 2015 by the largest integration companies in the custom electronics industry. Overall, these integrators leaped to perform way more installations compared with 2014. The 694,786 jobs from these 100 companies (actually only 99 as one company did not report installation figures) is a mind-blowing 67-percent jump from the 415,514 done the prior year. While volume grew immensely, revenues also gained. The list achieved a combined $2.1 billion in revenues in 2015, representing a solid 15 percent increase from the top-line revenues of $1.84 billion in 2014. The revenues include income from installation, equipment that is sold and installed, and recurring revenue earned from residential accounts. The volume is being driven by a multitude of reasons, including the resurgent new home construction market; increased home equity that frees up cash to spend on home upgrades; a growing enthusiasm for higher-quality music feeding the need for better equipment; the transition to 4K Ultra HD TVs with High Dynamic Range; fears of terrorism compelling homeowners to want to feel safer in their homes; advanced camera technology; and more.